Ever wonder what Muslims really believe, or Hindus or Buddhists? 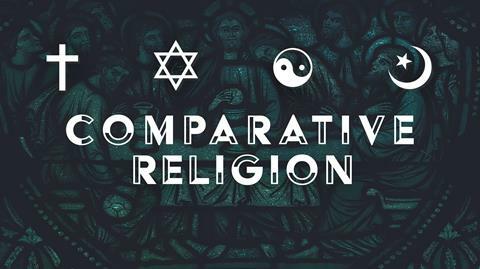 How does Christianity relate to Judaism? Join the Lost and Found class for an exploration of world religions beginning January 20 at 9:40am in room 207. Jeff Fugitt has taught world religions classes for several institutions, including MSU. This time there is no tuition fee or final exam! Life often looks so very different than we hoped or expected. Some events may simply catch us off guard for a moment, but others shatter us completely. We feel disappointed and disillusioned, and we quietly start to wonder about the reality of God’s goodness. 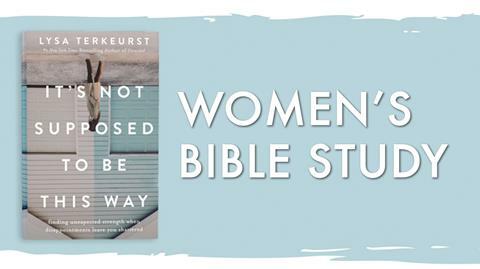 Lysa TerKeurst understands this deeply and in her newest Bible Study, It’s Not Supposed to Be This Way, she will help us learn how to navigate some of life’s hard moments and support others going through hard times. Join us for this six-week study starting on Friday, January 25, 10:00am-Noon, in the Discover Room. Childcare is provided. In February 2019, the United Methodist Church will have a Special Called Session of General Conference. It will take place in St. Louis. The purpose of the session is to address an enduring debate within the church on homosexuality and its relationship to marriage, ordination, and its teaching of the Gospel. Pastors Jake Hotchkiss and Jason Leininger have written a booklet, “Generous Spirit – Strong Convictions; a pastoral word on human sexuality.” They will lead a discussion from 6:00 to 7:30 in Memorial Hall as follows: Jan. 13 – Chapters 1 & 2 / Jan. 20 – Chapter 3 / Jan. 27 – Chapter 4 and General Conference prayer. They will speak to where we are at, the witness of Scripture, and possibilities before the Church. You can pick up a copy of the book in the foyer. A $5 contribution helps cover the costs. (On Kindle too). We talk a lot here about the importance of being in Christian community. But for some, it’s hard to imagine why we care so much about it. The idea of sacrificing time, meeting in a stranger’s home, and “getting spiritual” just doesn’t sound fun. 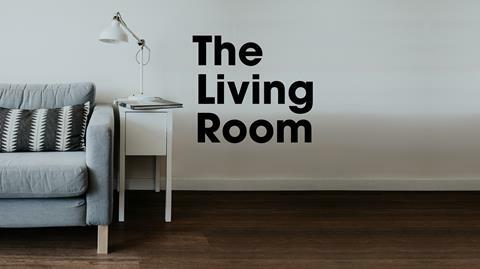 So, we created The Living Room to give you a chance to try it out, without any long-term commitments. 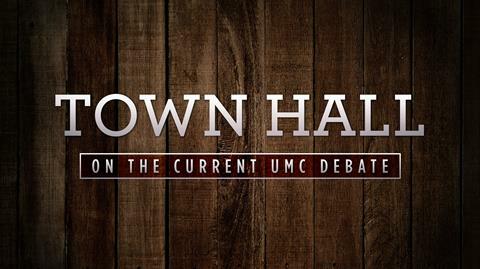 Join us tomorrow, 6:30–8:00 p.m., in the Fellowship Center. For more information, contact Pastor Jake Hotchkiss, jhotchkiss@sumc.co. An exciting way of reading the Bible with new understanding. 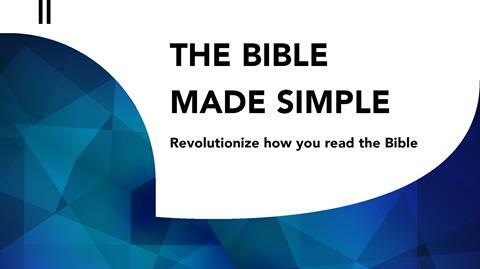 Revolutionize your reading of the Bible with “The Bible Made Simple,” an interactive class experience with fresh insights for Bible newbies, as well as seasoned saints. Engage Scripture with new understanding and enthusiasm—Wednesdays, beginning tomorrow, January 16–April 3 at 6:30 p.m. in the Outreach Center. Cost of workbook is $10. Sign up for your place at the table by contacting Jeff Fugitt, jfugitt@sumc.co. 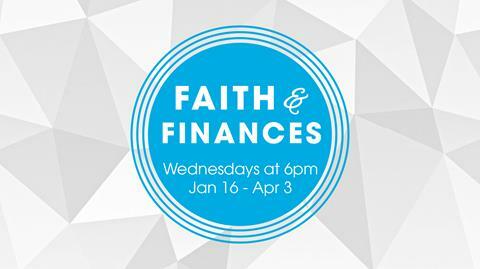 Faith and Finances is a 12-week class that equips low and fixed-income individuals and families with Biblical money principles. If you want to get and stay relationally and financially healthy, this is the class for you. Are you new to Schweitzer? 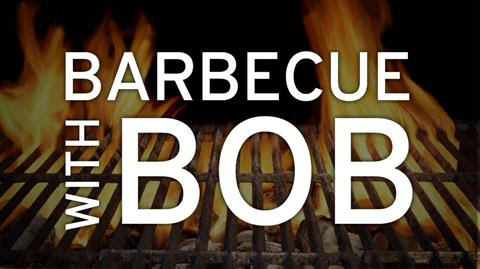 Pastor Bob would like to invite you to join him, along with the other pastors, for Barbecue w/ Bob this Sunday, January 20, 12noon-1:30pm, in Memorial Hall. City Butcher caters the luncheon, so you will get to enjoy some great food, along with a tour of our campus. You will have the opportunity to learn more about our classes, kids’ ministry, youth ministry, outreach ministries, and more! Childcare is provided. In the wake of the temporary shut down of the federal government, and federal employees missing paychecks, Schweitzer wants to help. Our food pantry is open for all those experiencing an emergency, including furloughed federal workers. Additionally, we are aware that BluCurrent Credit Union is prepared to make 0% interest short term loans to federal workers that are furloughed. A training for leaders and others who want to make this pastoral transition the best. The “Changeover Zone” on Saturday, February 2, is for leaders and others (the more the better) who have an interest in making this pastoral transition the best it can possibly be. Led by Jim Ozier, it is fast paced, fun, interactive and details specific practices that the church can do to make this a mile-marker moment in the life of the church. A great “passing of the baton” leads a first time guest to walk away from worship saying to themselves, “These are the kind of people I could hangout with!” The focus of the training is developing an intentional strategy involving as many members as possible to “say goodbye and say hello” in powerful and compelling ways, ways that help the church grow during this transition. Join in on the “Changeover Zone” Training, Saturday morning, February 2, 10:00-12:00noon in Memorial Hall.